Today I tried making a cooking recipe using a different flour in each of 3 different batches. Umm… they all sucked. The very brown looking, flat ones were made with almond flour; they have the best texture as far as being chewy. The lighter flat ones were made with King Arthur’s gluten-free flour mix; they are rock hard and nearly impossible to eat. I thought the dough looked like taffy, and that’s kind of how they turned out, like really tough baked taffy. 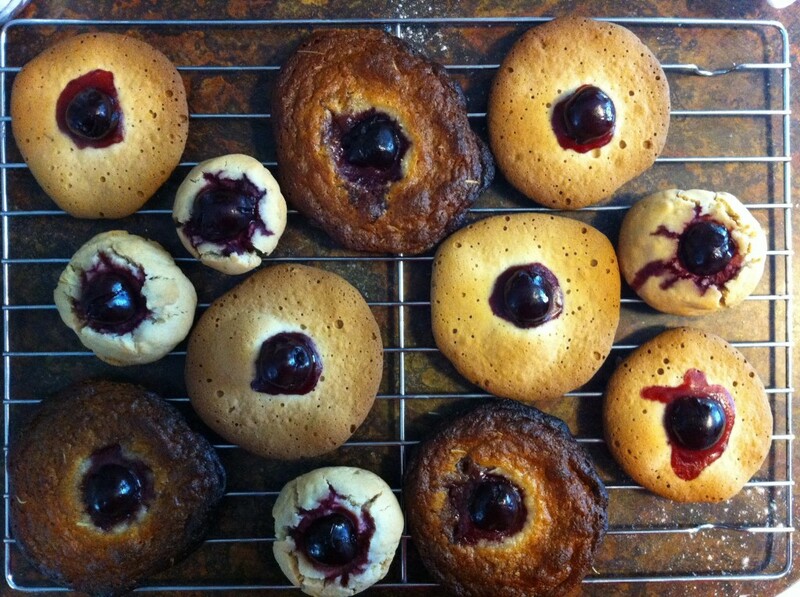 The round cookies were made with brown rice flour; they are too dry. It was an experiment to see what different flours do; I’m not sure what I learned. Sigh… but they look pretty with cherries on top. 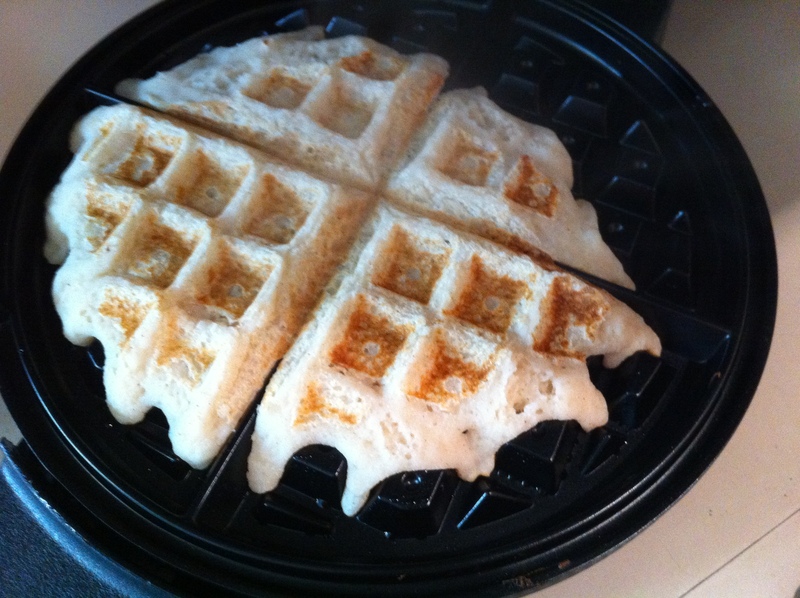 I also tried my hand at coconut flour waffles using egg replacer. The recipe I followed was the same as mine, egg replacer and all, except I used coconut milk instead of almond. The batter wouldn’t cook fully in my waffle maker. I’m not used to using egg replacer yet and have no idea if it has its own flavor, but the semi-cooked waffle tasted a little sour. Boo. I wanted to make a few and freeze them for toaster snacks. This entry was posted in splats, sustenance+sustainability on 3 March 2012 by cheryl.